Whether on icy north faces, during stormy ascents or severe snowfall on the summit – the Ortler jacket are made for Alpinists! Ortler jacket provides protection in any weather, for any activity – and is still unbelievably light and comfortable to wear. The outer material is completely wind and waterproof thanks to the Dermizax®NX membrane, arguably the highest-performance membrane on the market, without compromising on breathability or freedom of movement! 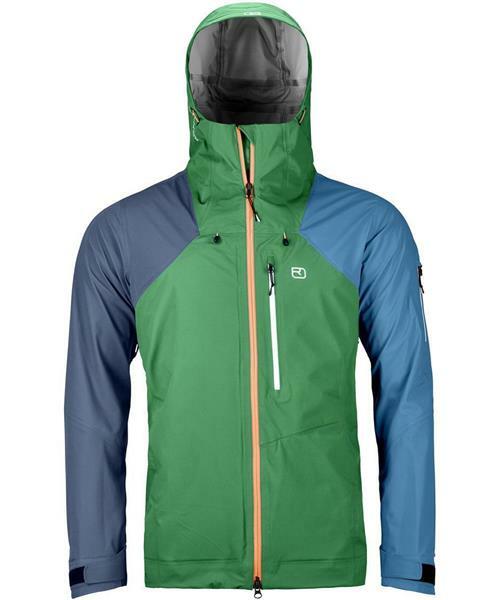 The hardshell jacket has a two-way zipper for an optimal fit – even with a climbing harness. A two-way zipper in the underarm area provides cooling during sweat-inducing climbs. Merino mesh inserts around the chin and the 2-way adjustable storm hood offer comfort and protection in rain, snow or icy conditions.